During the last few months, I have been pondering about an important choice. More than one important choice actually. And since I’m quite the technology geek, I thought the Samsung Galaxy I9000 with upgraded firmware and running Froyo 2.2 was not making the cut for me. Powered emotionally by the fact that I had just read Steve Jobs Biography. I had to revisit my allegiances and where I stand with regards to Mobile Operating Systems. When I was revisiting this, I realized that this was not just a battle of the mobile operating systems, but it was a battle of values. It was a battle between the philosophy of trying to content everyone and adjusting to their every whim and a philosophy of providing an integrated product which might not so modifiable at first glance, but which provides a user experience which is undeniably effective and lets the user focus on other important issues. The question of focus plays a pivotal role in this battle. I will talk about this later. I could definitely say that I was a Windows and Android boy. I loved everything which was open and which catered for every kind of hardware. It was years that my older sibling pointed out to me that I should switch to the Apple philosophy which provided me a product which simply worked and even though he recently had to change his MacBook Pro Motherboard for a hefty sum of money, he still won’t go back to Windows. That is saying something. When I ask around, I go and approach anyone who has an iPhone, and ask him or her, “how long have you had this phone?”. The answer is always on the positive side varying from 2 to 3 years. Now, I know that my sampling techniques might not be so precise and not so representative of whole market. Yet I know,that,owning an Apple mobile phone, is meant to last you for quite a long time, considering that most of us are now changing their mobile phones every 2 years and sometimes even less because they simply break down. Apple’s phone is meant to provide you with an experience of stability. And you know why is that? Because Apple focuses on the why. Which makes the whole bloody difference. This might sound more like a rant yet dear patient readers, I’m sharing with you a cascade of thoughts, thoughts which come in as a result of months of informing oneself and checking this site and that site, and comparing different phone models and trying to see which phone I should buy and even taking to the point that I posted a public Facebook status about this, asking people which phone should I buy is it the iPhone 4S or Samsung Galaxy Nexus Prime . Of course at that time, I was more inclined towards the pumped-up Android phone but at the end, I decide to go for the more simple phone. 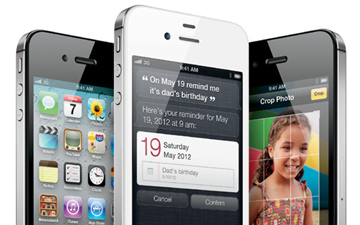 The phone which actually works, and proven to work for a long time : iPhone 4S. Of course, I’m still saving up for it yet I’ve made my decision(on a side note: decide.com is a brilliant website to guide you in making better decision when it comes to the timing of buying electronics and price fluctuations). Dear Friends. That in five words sums up my choice. Disclaimer : This blog post is not meant to make any sense gramatically and is not even meant to be flowing. These are just my thoughts,made digital and this post might be edited as we go along. That’s why Apple products are inherently more marketable than other devices. It’s their philosophy that design and easy of use comes before everything else.